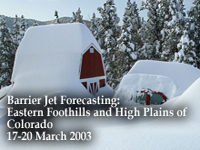 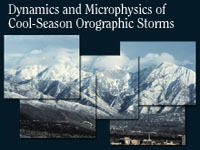 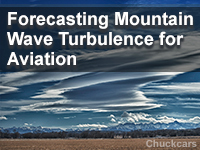 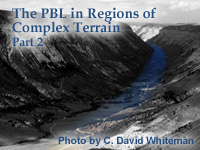 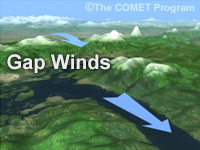 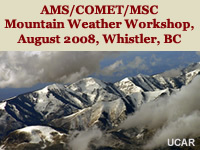 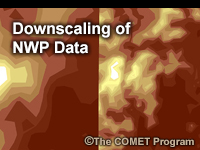 Learn about the many ways the atmosphere interacts with complex terrain to produce weather events such as orographic storms and winds, cold air damming, and gap winds. 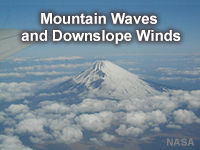 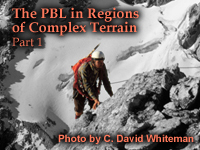 You also find resources about the characteristics of mountain snow packs and avalanches. 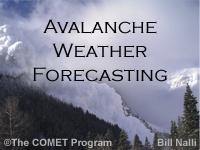 A recent project involving the University of Alaska and the Anchorage NWS Forecast Office looked at significant snowfall events associated with low pressure centers in Prince William Sound. 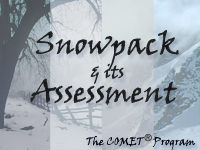 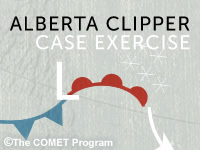 See their final report to learn what they found.